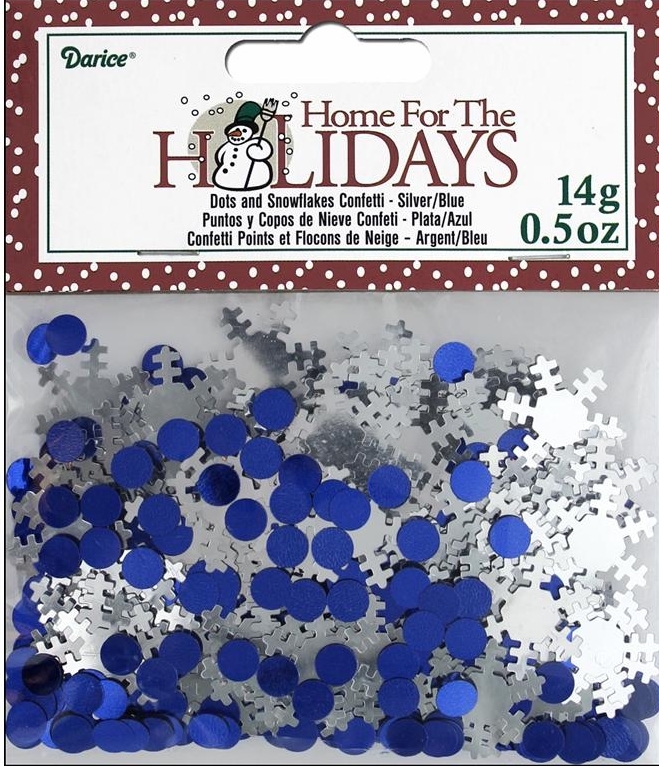 Christmas & Holiday Products - products new home - Darice Party Holiday Confetti Pack Silver Snowflake & Dots .5 oz. Darice Party Holiday Confetti Pack Silver Snowflake & Dots .5 oz. - Perfect for party decorating or just scatter on tables for an accent or your craft project. These snowflake sequins are featured in the January 2019 ATC kit of the Month. Includes blue dots and silver snowflake shapes. Snowflakes measure approximately 1". Currently viewing: Christmas & Holiday Products - products new home - Darice Party Holiday Confetti Pack Silver Snowflake & Dots .5 oz.